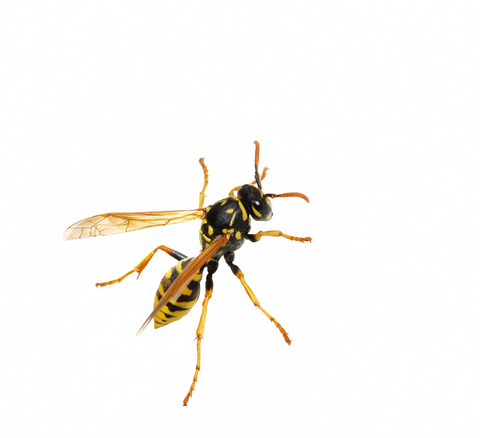 A wasp flew up the trouser leg of a Mequon man on Sunday, stung him in the thigh and attempted to fly away when the man dropped his pants to treat the wound. The man, a resident in the Thornapple Farm neighborhood who prefers to remain anonymous, was hauling rocks with a wheelbarrow when he felt a “sharp stinging/biting sensation” in the back of his upper leg. In his bathroom, the man dropped his pants and used a mirror to look at his wound. He saw a raised, red welt but found no stinger. As he was about to pull up his trousers and get back to work, he saw the wasp fly from the crumpled jeans at his ankles. After the ordeal, the besieged Mequonite treated the sting with a salve, calmed his nerves with a cocktail and proceeded to haul rocks. Previous articleGet Out and Vote, Mequon!